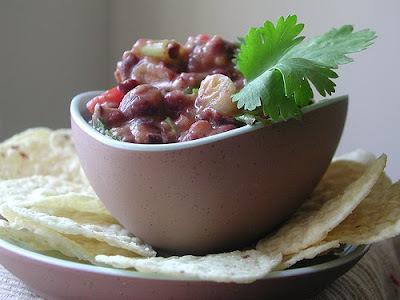 This black bean dip is the dip-of-all-dips. Rarely do I fawn so intensely over my own food, but this is good. Get ready to please anyone within chip-dipping distance. 1. Place black beans in a large bowl and smash slightly. 2. Heat oil in large saute pan and saute onion and garlic until translucent. 4. Remove from heat and add cilantro and grated cheese. Stir until cheese is melted. 5. Serve with corn tortilla chips.